When buying gifts for loved ones or even yourself, it can be difficult to know what size works best and most appropriate from simply reading the measurements. So here is a little guidance on sizes for both chain lengths for necklaces and ring sizing. We want to make sure you get the perfect piece of jewellery to add to your loved one’s collection, or of course your own! At Bianca Jones Jewellery, all of our pieces are made by hand in our London workshop. This means that we can make your sizes specific to your exact chain length or ring size request. Our Necklaces are available in various chain lengths. These include: 16″ (40.64 cm) 18″ (45.72cm) 20″ (50.8 cm) or 24″ (60.96 cm). Please use the image as a guide for each of these necklace lengths. The pendants are shown measure 1.8cm by 1.8cm. Lauren is 177cm / 5.10″ and wears a size 8. Necklace Chains are a curb chain with a pretty hand-tied Freshwater Pearl by the clasp. Hallmarked with our maker’s mark, the Assay office, the date and purity of the Silver or Gold. Our most popular chain length is 18″. 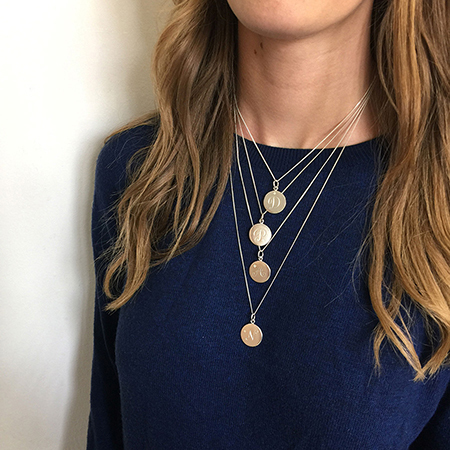 Longer chains are great for layering up necklaces, a great look. Although if you are still unsure, we will happily send out extra chain lengths for you to choose between and return the ones you don’t like. 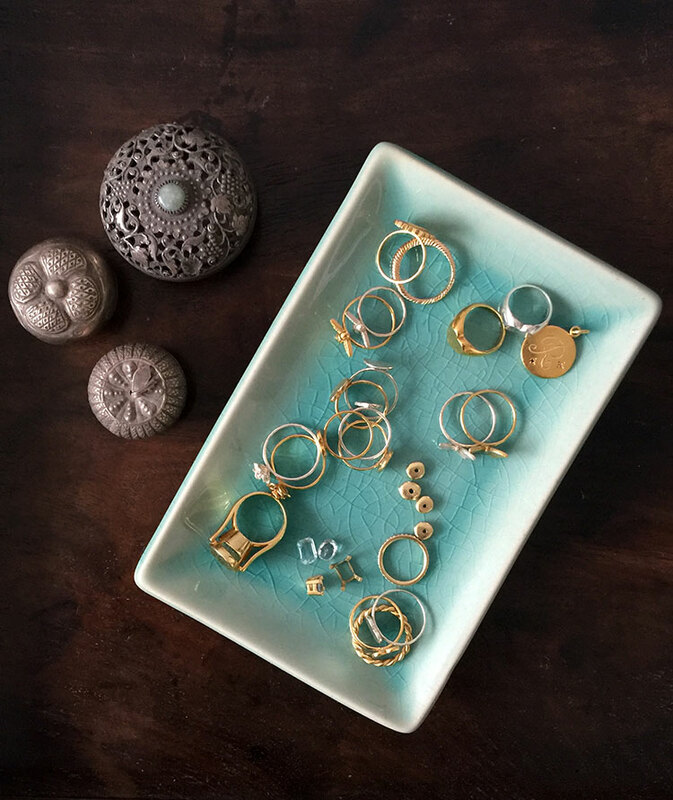 Your ring should fit comfortably, feeling snug enough so that when you wear it that it won’t fall off, but of course should still be able to fit over your knuckle when you take it off! Firstly, your fingers will change size slightly at different times during the day, with temperature and physical activity all having an effect. If your hands are cold, you shouldn’t measure your ring size as your fingers can be up to half a size smaller! You may download our printable ring sizer here to give you guidance on sizes. If you would prefer for us to send you a plastic ring size gauge, please do contact us on orders@biancajones.co.uk with your details and address and we will send this to you in the post. Please do not hesitate to contact us on orders@biancajones.co.uk if you still have any queries and need further guidance on sizes and we will do our best to help you! We want to make sure you get your jewellery just right for you.